Cult Beauty's Summer 2017 Goody Bag is here! They ship worldwide. You get this whopping 18-piece gift gratis when you shop across the site for £110. 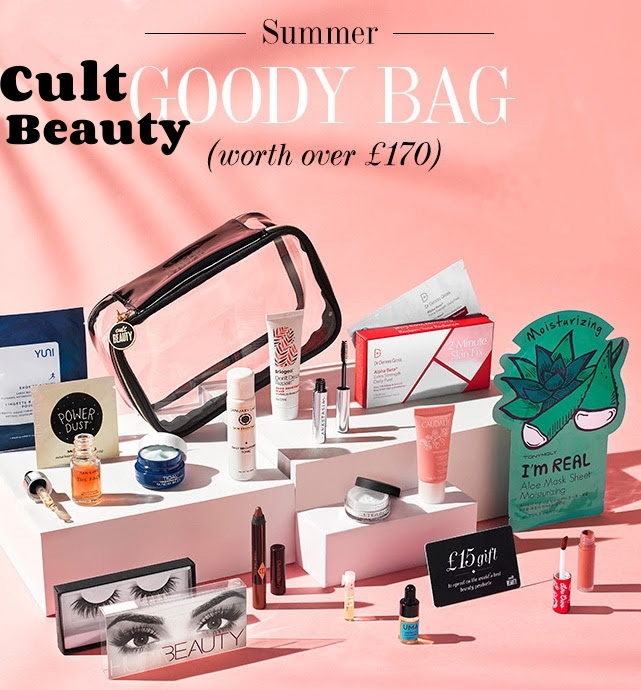 Cult Beauty says the worth of the GWP is more than £170, and there is a mix of deluxe- and full-sized products from brands including Charlotte Tilbury, By Terry, Dr Dennis Gross, Huda Beauty, Caudalie, Sunday Riley, and so on. In addition, you also get a discount voucher for £15, to be redeemed on Cult Beauty. 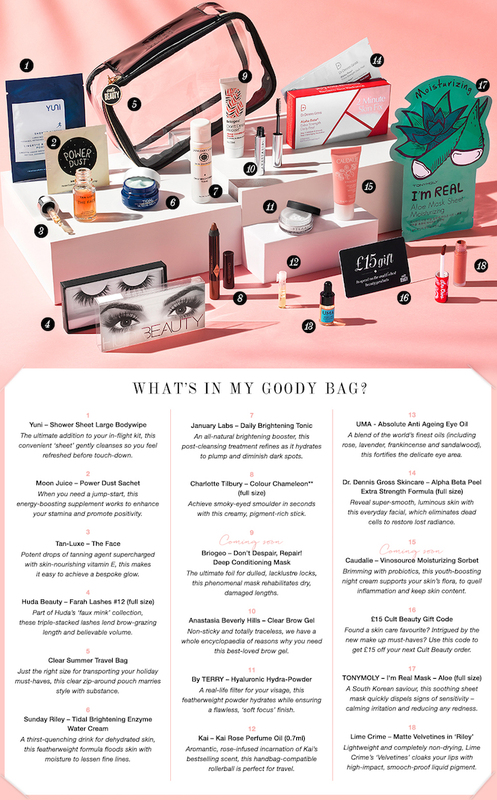 Scroll down for the contents of Cult Beauty's Summer 2017 Goody Bag. Cult Beauty has a range of makeup and skincare. brands, from Tata Harper and Omorovicza to Charlotte Tilbury, Huda Beauty, NYX, Laura Geller, Beauty Bakerie, and Korean brands. To get your beauty bag, rush here - they ship worldwide and the bag is automatically added at checkout. Hurry - this GWP is selling out very fast, so get yours before they are all gone!